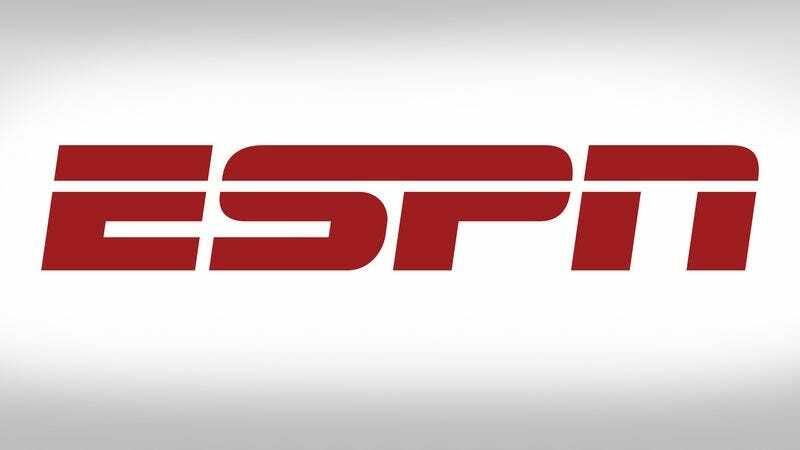 BRISTOL, CT—Following the network’s three-week suspension of analyst Bill Simmons over comments regarding NFL commissioner Roger Goodell, ESPN reportedly sent all on-air personalities a comprehensive list Wednesday of the six pre-approved opinions they may express during broadcasts. “Effective immediately, all on-air talent will be restricted to voicing only the half-dozen sports-related viewpoints officially authorized and endorsed by ESPN,” read the internal company memo, advising all employees to adhere strictly to the new protocol or risk punishment and possible termination. “The network-sanctioned opinions are as follows: 1. The NFL has become a passing league; 2. LeBron James is a great basketball player; 3. The sport of soccer is growing in the United States; 4. Peyton Manning is a future first-ballot Hall of Famer; 5. Rory McIlroy is the new face of golf; 6. The MLB playoffs are incredibly exciting. Thank you for your cooperation.” At press time, ESPN had reportedly revised the list to three opinions after receiving feedback from the NFL front office.